Alonso will kick off his 2019 racing schedule next week at Daytona - but where else will we see him racing this year? Fernando Alonso’s racing plans for 2019 were subject to much speculation last year as he pondered where his future in motorsport lay. Alonso ultimately opted to call time on his F1 career – for now, at least – in favour of picking up a handful of events through 2019, cutting back on his racing duties. Yet as the Spaniard gears up for his first racing outing of the year in the Rolex 24 at Daytona next weekend, questions still remain over what exactly he will be doing this year. Alonso presently has five races set in stone for 2019: Daytona; three rounds of the FIA World Endurance Championship at Sebring, Spa, and Le Mans; and the Indianapolis 500, which will take priority above all else as he bids to become only the second driver in history to complete the Triple Crown of Motorsport. And even while cutting down on the number of events he is racing in, Alonso has a real shot at winning every single race he’ll turn up at in 2019, starting at Daytona next weekend. 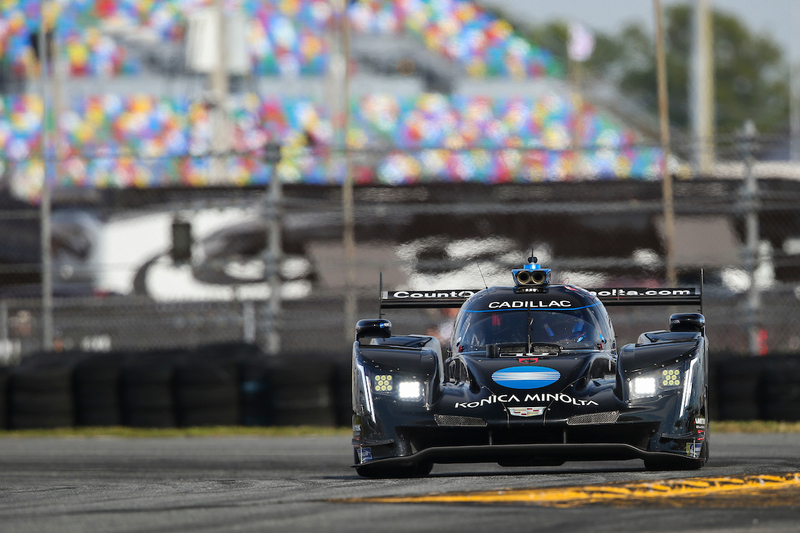 Wayne Taylor Racing has been a front-running team in IMSA for many, many years, and won the Rolex 24 two years ago with the Cadillac DPi car Alonso will share in next weekend’s race with Jordan Taylor, Renger van der Zande and Kamui Kobayashi. The quartet was quick in practice earlier this month, and will enter race week filled with confidence. Alonso’s own confidence as a sports car driver has also grown dramatically in the 12 months since his debut at Daytona with United Autosports in the LMP2 class. His stunning night stint at Le Mans was instrumental in Toyota’s #8 car taking victory, and he has impressed many through the sports car world. He could give WTR an extra edge this year, potentially resulting in him donning the Rolex watch awarded to the overall winners come Sunday afternoon at Daytona International Speedway. Alonso’s next confirmed racing outing after Daytona comes nearly two months later as the WEC resumes its ‘super season’ at Sebring. Alonso currently holds the joint-lead of the drivers’ championship alongside #8 teammates Sebastien Buemi and Kazuki Nakajima, sitting five points clear of the rival Toyota #7 crew. While the privateer LMP1 teams have been making up ground lately, the Toyotas remain in a class of their own at the front of the pack, really making it a case of which crew will win the title. With Sebring offering 1.5x points given its added length (1,000 km, which should take eight hours), it could be a crucial race in deciding the championship. But will Alonso have appeared elsewhere before Sebring – in a Formula 1 car, no less? Alonso is remaining a crucial part of McLaren’s racing family, piloting its entry to the Indy 500 in May. 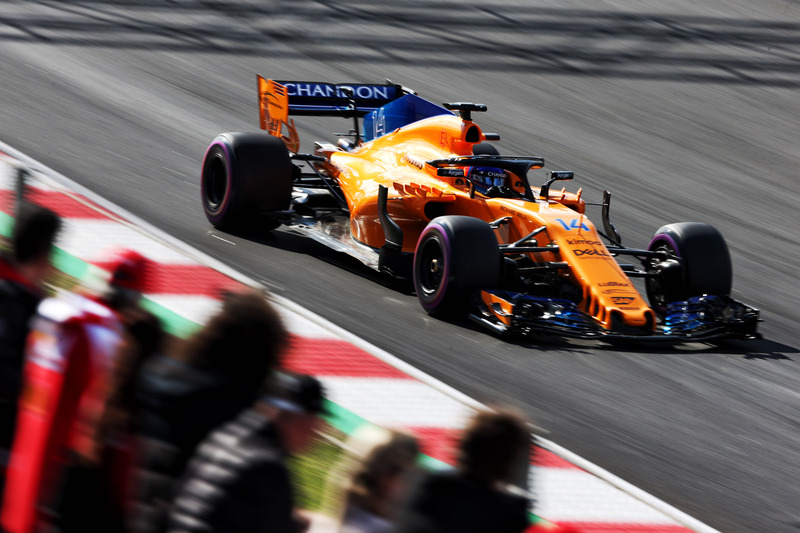 While he has closed the door to F1 for now, it is far from being locked, with team boss Zak Brown and 2019 drivers Lando Norris and Carlos Sainz Jr. all being receptive to the idea of Alonso testing the MCL34 car at some stage. “I have spoken to Fernando about it. He is very open to it,” said Brown. “These F1 world champions, whether it's Michael Schumacher or Mika Hakkinen, who came close to a comeback, don't want to be too far from the F1 pit lane. Tapping into Alonso’s experience to help develop the MCL34 early on in Barcelona testing means we could see the Spaniard back behind the wheel of an F1 car as early as February. But then comes a big ‘what if’ for Alonso’s 2019: what if the MCL34 marks a major performance step forward for McLaren, something he has craved for the past three years? Could the team really turn Alonso down if he’s that keen to return? “We’ve got two race car drivers. So until we’re allowed to enter a third car I think it would be difficult to put him in a race team,” said Brown when posed with the idea last November. Yet if either Norris or Sainz were unable to race, you can be sure Alonso will be the first name on the list to jump in the car. Post-Sebring, Alonso’s next race will be the penultimate WEC round of the season at Spa before the biggest race of his 2019: the Indianapolis 500. 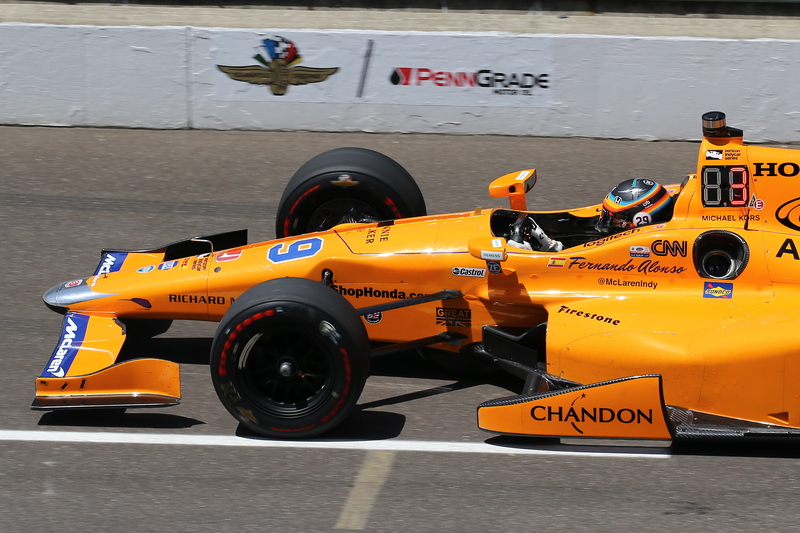 Alonso made a splash with his shock ‘500 debut at the Brickyard in 2017, qualifying fifth and leading the opening stages of the race despite minimal testing in a hurriedly-put-together programme between McLaren, Andretti Autosport and Honda. This time around, Alonso has plenty more time to get prepared for the race and will have a better idea of what to expect. McLaren is putting together its own entry this time around, powered by Chevrolet, but is leaning on experienced figures from the IndyCar paddock. Alonso is set to work with the same crew chief as in 2017, and is due to begin oval testing with McLaren in April. The Indy 500 is an unforgiving race that, much like the 24 Hours of Le Mans, seems to pick its winners as opposed to being won. But the odds will be stacked more favourably towards Alonso this time around, which should give him great confidence heading into the month of May. Completing the Triple Crown and emulating Graham Hill’s achievement set almost half a century ago would see Alonso deliver on the goal he publicly set in a little over two years, which would be mightily impressive. It would also cement his place in the history books as one of racing’s all-time greats – something he has appeared to crave validation on, justifying this adventure. Alonso’s last confirmed race for 2019 is in June, when he will defend his maiden Le Mans victory from last year at the final round of the WEC season. Winning Le Mans again will mean a huge amount to both Alonso and Toyota, edging them another step up in the history books. 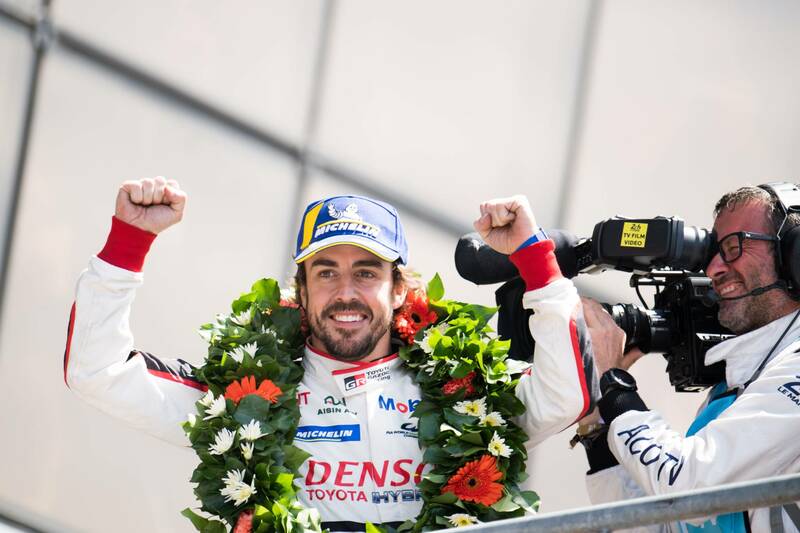 Alonso clearly enjoyed his first appearance at the Circuit de la Sarthe, making it more than just being a box to tick in his hunt for the Triple Crown. It’s the kind of race Alonso will likely look at returning to year after year, similar to the Indy 500, giving him the chance to establish himself as a legend of both races in their own right. Alonso’s interest in sports car racing seems to make it the most likely placements for post-June racing activities in 2019. While far from confirmed, extending his relationship with Toyota into a second season of WEC through 2019/20 seems likely, particularly without the concerns of conflict with Honda that perhaps lingered initially. This would see Alonso commit to a further four races this year - Silverstone (September 1), Fuji (October 6), Shanghai (November 10) and Bahrain (December 14) – potentially taking his number of outings for 2019 up to nine. It has also been suggested he could pop up in some other sports car events, such as the 24 Hours of Spa, but that is far from being agreed by all parties involved. And then will come his considerations for 2020. Alonso will unquestionably be at the heart of ‘silly season’ in Formula 1, particularly if McLaren does indeed make a step forward. If McLaren were also interested, a full-time IndyCar programme will also pique Alonso’s interest if he does find himself at a loose end for much of the year. And if he doesn’t opt to continue with Toyota, that would act as a big signal of his interests laying elsewhere. But that will all be a story for next summer. Alonso may no longer be an F1 driver, but he will remain one of the most exciting figures to watch racing through 2019 – even if we have to make the most of the fleeting opportunities as they come.